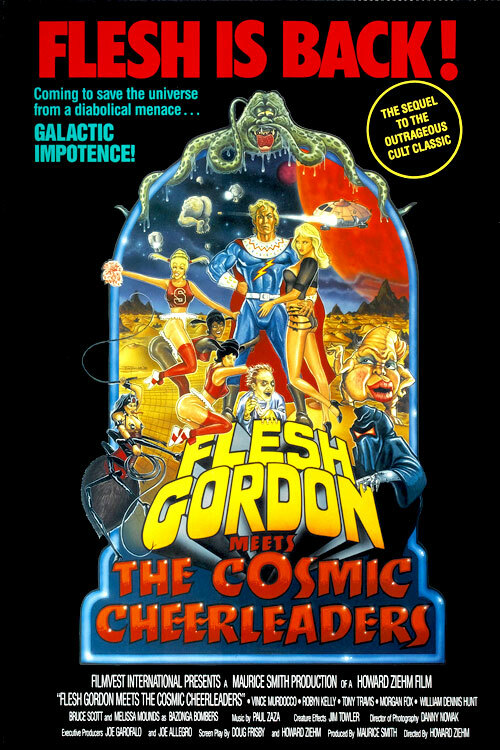 Space-faring hero and galactically-renowned stud Flesh Gordon is kidnapped by a group of space cheerleaders hoping to use him to save their planet. A being simply known as Evil Presence has been rendering the men of their world impotent, and the women are desperate for some form of relief. Flesh's girlfriend Ardor, meanwhile, is following behind to try to keep him out of trouble, but soon finds herself kidnapped by Evil Presence's henchman who has plans of his own. 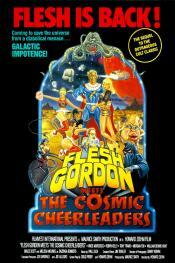 Can Flesh get the men of this planet standing tall once again? This page has been seen 2032 times.